This is a sponsored conversation written by me on behalf of Canon PIXMA via Burst Media. The opinions and text are all mine. When I first got into makeup, I would look at makeup tutorials on YouTube and in magazines and try to recreate them but I would always fail. My eyes weren’t shaped the same as most of the eyes that I looked at, so my eyeshadow would end up hidden or it didn’t flatter my eyes. Later, on some makeup forums I learned that I had the ‘dreaded’ hooded eye shape, which hides eyeshadow if your eyes are open. It took me a long time learn to love my hooded eyes. I’ve seen so many negative things about hooded eyes online and had people suggest surgery to ‘fix’ them. One of the things that helped me was recognizing that there are many beautiful celebrities with hooded eyes, including Blake Lively, Jennifer Lawrence, Nicole Kidman and Taylor Swift. I started saving pictures on my computer, ripping them out of magazines, and screenshotting them on my cell phone, so that I would have hooded eye makeup inspiration. 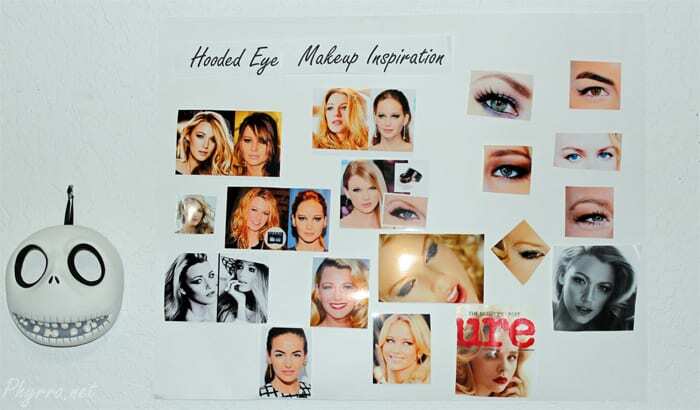 With the Canon PIXMA MG7120 printer I can print and organize my hooded eye makeup inspiration all on a beauty board. You can download the PIXMA Cloud App from the Google Play Store if you’re on Android, like me, or you can grab it on iTunes if you’re an iPhone addict. This lets you print out anything you’ve snagged and saved on your phone. 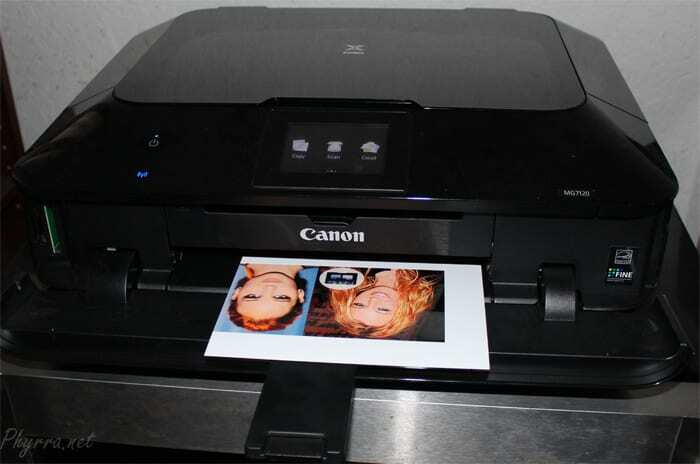 Setting up the Canon PIXMA MG7120 printer is easy. It’s really just plugging it in, turn it on, follow its instructions for connecting to your wireless network, and then print a test page. You’re then ready to print any pictures that you’ve saved on your computer. Between the Canon PIXMA MG7120 and the PIXMA Cloud app, I can print from anywhere, such as Facebook, Google Docs or from my cell phone. In addition to printing beautiful inspiration photos that I find on Pinterest, in magazines, and elsewhere online, I can even print out some of my own pictures. 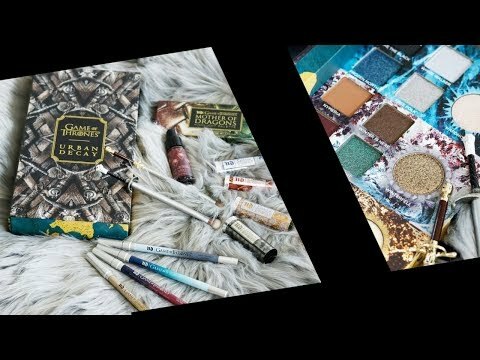 Here’s my Hooded Eye Makeup Inspiration Board. The celebrities that I look at for inspiration are Blake Lively, Jennifer Lawrence, Taylor Swift, Nicole Kidman, and Camilla Belle. There are more celebrities who have hooded eyes, but these are the ones I look at the most. If you follow me on Pinterest, you already know of my love for Blake Lively and Jennifer Lawrence, so you’re probably not surprised by my choices. One of the best recommendations for applying makeup with hooded eyes is using false lashes or lots of mascara. Big lashes will help open up the eyes. I’m working to improve my false lash applying skills. I finally had a ‘nailed it!’ moment when I cut my false lashes in half. I then applied the inner half first and the outer half second, using Fantabulash lash tape. My lashes were more comfortable to wear that way and it was much easier to apply than trying to get on a single strip. Another ‘eye opening’ technique that has helped me a ton is applying black eyeliner on my upper waterline and at the roots of my upper lashes. This immediately makes my lashes look thicker but doesn’t take up my lid space with liner. I prefer to use a long-wearing gel eyeliner like NARS Eye Paint for this because my eyes are watery, but if you don’t have this issue you can easily get away with using a black eyeliner pencil. One thing I do a lot is use mattes on the hood of my eyes to fake a crease. I bring my crease color up almost to my eyebrow, fading it out with the highlight. You can use a matte or shimmery highlight under the brows. I recommend using a shimmery highlight at the inner corner. Using shimmering colors on the inner lid is good, too. And yes, hooded eyes can do cat eyes! You just need to use tape for a guide to get your flick just right, or make it a smaller, more controlled flick. You can see how the brown shade gives my eyes depth on my lower browbone. You can also use a shimmery shade on the lower browbone if you want to, as well. Makeup rules were meant to be broken! What tips do you have for hooded eyes? What celebrities do you look at for makeup inspiration? Also sorry so much. Didn’t know I could do a cat eye flick got try to learn that and a smokey eye. Omg I saw u were going to have this and been wanting to be subbed to u. Am to several of the lipstick league I think the group is called. I have really hooded eyes and been wanting to remember to get to this post. And haven’t till today. Super happy that say u have embraced and love it eyes. When I have been so mad I can’t play up color like others. But then I have seen pops if color in the corners and under eyes. I am embracing that. And trying not to hate my eyes. I really need to master false lashes bad. Missing several in a patch on my left eye from scars from shingles as well as eye brows at hats another day. Still working on that one. But falsies I tried the other day and glue stuck to my fingers the scissor type tweezers I heard were good for that. I couldn’t get them on. Maybe I will try cutting them. I have heard of that but kinda stubborn and wanted to do the whole thing. I follow several on utube and search for hooded eye tutorials. Stephanie Lange is a good one and Wayne Goss sometimes has tips. I look for anyone and notice everyone who has them now. I’m late 40s been wearing makeup since a teen an older teen. And never knew except deep set. And not a lot help till the last yr or two and started watching you tube and got into this wonderful Beauty world that has been created. I’m on Glamlifguru app and it’s wonderful. Tati Westbrook. And she has them a little. But the app in the world and so encouraging of women to women and men included in that a cpl. But learning a lot and leaning to live mattes more. I am so into no rules in makeup. Some I do follow but some I’m just going to have fun and love life everyday. I have been surviving and fighting Cancer for 13 yrs this month. And been thru a lot if treatment in the past chemo radiation and bone marrow transplant. Besides having have both hips replaced and a partial shoulder and horrible case the worse ever seen by my docs if shingles in my face of course. But I’m a positive happy person and encourager. So not letting a lot effect me too much or try. Mother of three boys and married 29 yrs. so I have a great life. And plan to live it with my makeup addiction as much as I can pay to get more. But the best part is learning and interacting. Thanks u I have now subbed my email to u. So I get every bit of Info and not miss anything and plan to go back and read some of the archives. And watch ur videos.